California pop band The Bangles are back with a cool new record. Recorded over the past couple of years, Sweetheart Of The Sun picks up rather nicely where 2003’s Doll Revolution left off. Of course, life with The Bangles hasn’t always been as sugary sweet as their songs. Though the group struck pop radio gold with hits like Manic Monday, Walk Like An Egyptian and Eternal Flame in the 80’s and 90’s, internal tensions ended up driving the band apart for approximately one decade. Since their reformation around the turn of the century however, it has been relative smooth sailing for Susanna Hoffs and sisters Debbi and Vicki Peterson. 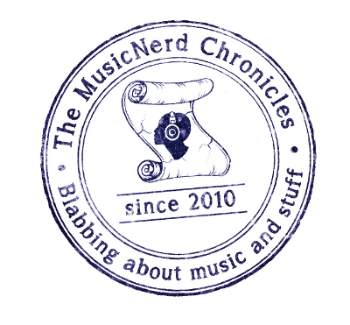 Last week, The MusicNerd Chronicles had the pleasure of speaking with The Bangles’ drummer Debbi Peterson about what originally drove the band apart and how being a Bangle is a tad different in 2011 than it was more than 20 years ago. Why the eight-year span between Sweetheart Of The Sun and Doll Revolution? Peterson: It’s amazing how eight years go so fast. We all have kids and when you have kids, the years tend to fly by and you don’t even realize it. We did some touring and shows under the radar to help us get some money to fund the new record. Otherwise though, I don’t even know how to explain how eight years have gone by so quickly. I’m assuming the pace of the band is much more relaxed these days? Peterson: The pace we are keeping now is really nice. We are taking our time a bit more now. Back in the 80’s, it was all Bangles all the time but now, we all have families and split our lives that way. It took a little while to make the new record but hopefully everybody likes it and our fans feel it was worth the wait. Did The Bangles officially disband at a point in the past or was it more of a “See you later” scenario? Peterson: We actually did break up in 1989 and it was not an amicable thing. Susanna [Hoffs] and Michael [Steele] both wanted to go off and do their own things and Vicki and I were actually told about this at a meeting where we thought we were going to be discussing the next tour and instead we were told that we were breaking up. It couldn’t have been good to have been blindsided like that. Peterson: It was horrible and after going through that, I had decided I didn’t want anything to do with music for awhile. I took a few months off from being around musicians, music, everything. But of course, that didn’t end up lasting too long. I had to get back to writing and playing again. In hindsight, it was a really good thing for us to do. We were always on top of each other and around each other all the time; it was eat, sleep and drink The Bangles all the time. We needed that break and when we got back together, we talked things out. It was all water under the bridge. Most importantly though, we talked about how we felt back then and what not to do the second time around. If history has taught us anything (and this applies to numerous other acts and not just The Bangles) it seems as though communication gets harder between band members as you become more successful. At a time when you start finally reaping success as a band, something that you all worked towards, everyone closes up and stops talking to each other. Peterson: It is like any relationship. You work on it with the person and after awhile sometimes, it doesn’t work out anymore. It was like we were all married to each other. Looking back, the problem is that we didn’t take a break and no one went and did something else artistically where now, we may not work as convincingly as we did back then but everyone has their interests outside of the band and it serves us well. Susanna has made a couple of records with Matthew Sweet while Vicki makes music with her other band Psycho Sisters. Now we all have other things we do outside of The Bangles so that when we get back together, we are in good form and are happy to be working together.